Why do we call this Lamp SMART? It is a full spectrum light for improved contrast when reading and color matching. 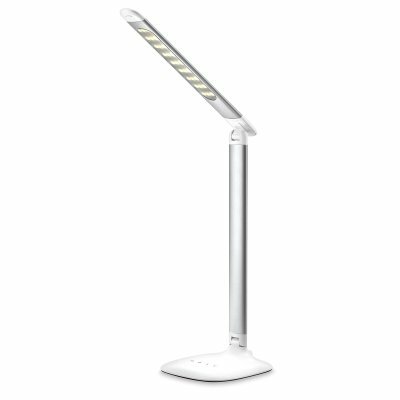 It is dimmable, allowing you to set the light at the brightness level you require. It is portable, light weight and foldable so you can take it anywhere. It is USB compatible allowing you to plug into the AC Adapter (included), your computer, or phone charger.